Netflix's upcoming horror "The Silence" is a frightening blend of "The Bird Box" and "A Quiet Place"
Netflix’s new movie “The Silence” is a horror movie directed by Annabelle's John R. Leonetti. The trailer was released on March 29, 2019. The casts of the movie feature the line-up of well-celebrated actors such as Stanley Tucci, Miranda Otto, and Kiernan Shipka--the latter being famous for her role in the “Chilling Adventures of Sabrina”. The movie summarizes a family struggles as they survive in a world terrorized by a deadly, primeval species who have bred for decades in the pitch darkness of a vast underground cave system, hunting only with their acute hearing. As the family seeks refuge in a remote haven where they can wait out the invasion, they start to wonder what kind of world will remain when they're ready to emerge. The film is actually based on the critically acclaimed novel of the same name by writer Tim Lebbon, which came out in 2015. 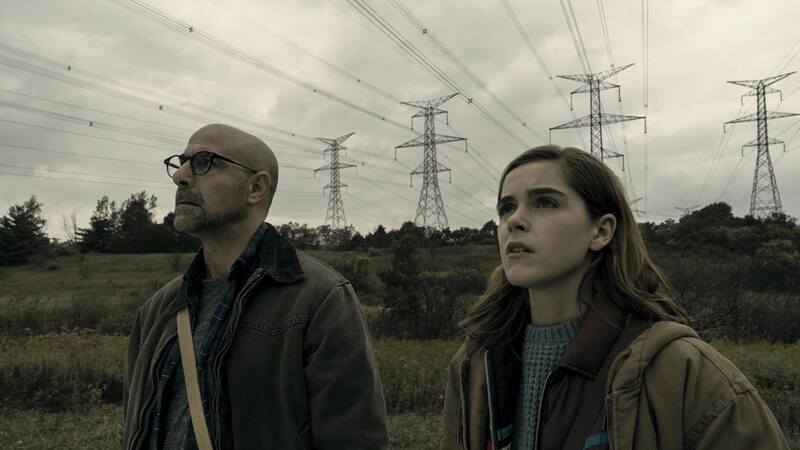 Netflix upcoming horror flick, The Silence stars Chilling Adventures of Sabrina actress, Kiernan Shipka and Stanley Tucci. 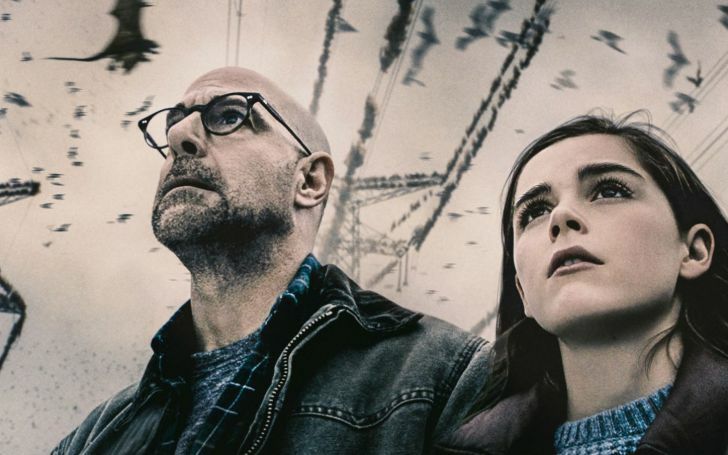 In addition to Bird Box and Sabrina, The Silence's trailer is also getting comparisons with the hit horror film of 2018, A Quiet Place, which also featured a deaf protagonist, played by actress Millicent Simmonds. Although Shipka has no hearing problems, she learned sign language for the role, according to the director, Leonetti. The actress told The Hollywood Reporter that she learned to sign for the film, and now she's impeccable, as she has throughout her life. (The silence has been criticized by the deaf community, including actress Marlee Matlin, as reported by Yahoo, for not presenting a deaf actress in the role of Ally, the first trailer of the film also does not show Shipka using sign language ). Unlike A Quiet Place, the family at the center of The Silence is not alone in the world but struggles to survive with millions of people trying to escape from the creatures. "These creatures, called Vesps, do not have eyes, they base everything on sound, anything that makes a sound, they submerge in a bomb and swarm," Leonetti told THR about the prehistoric creatures that dominate the world in the film. "But this family, their 17-year-old daughter, Ally, is deaf, so they communicate with sign language," she continued. "That gives them a chance to escape, it's really a family drama with an apocalyptic situation, and the concept of silence, that sound, even dialogue, is the enemy, makes it unique." Shipka's role in The Silence comes immediately after her acclaimed performance as Sabrina Spellman in Netflix's Chilling Adventures of Sabrina, a dark, a scary and feminist reissue of the Archie Comics character. "I'm not going to take on anything that does not resonate, and I do not think it resonates with anything that is not feminist in nature," the former “Mad Men” star told Refinery29 in October 2018 about Ro's election as a young adult actress. The 19-year-old actress also revealed that she struggled to find roles she could really connect with after Mad Men ended, which made Sabrina's role even sweeter. "I was a little depressed, an actor frustrated for a second," Shipka told Refinery29. "It was not as if things were flying in my direction, left and right, it was kind of a hurry, and [the role of Sabrina] showed up on my way, and I knew I could not give in. I fought very hard [by] and put busy." Shipka's willingness to work hard is evident both in Sabrina, who will return for season 2 on April 5 and in her terrifying search for safety at The Silence, which opens April 10 on Netflix.